Ink on a tile floor can be a tough problem to deal with, especially if the ink has been allowed to dry. However, when using ink in the house, such as an ink pen, marker or even refillable ink, stains on your tile floor are possible. This does not mean that you have to pry up the tile and replace it with a brand new one. Instead, you can use appropriate cleaning methods to get the ink off your tile. Your tile floors will be spotless once the ink is removed. Add some hydrogen peroxide to a clean cloth. Blot the ink stain on your tile with the cloth, pressing firmly each time. Move to a new area of the cloth each time you blot to avoid the redistribution of the ink. Move to a clean part of the cloth and lay it over the ink stain. Be sure some of the hydrogen peroxide is against the stain. Wait five minutes. 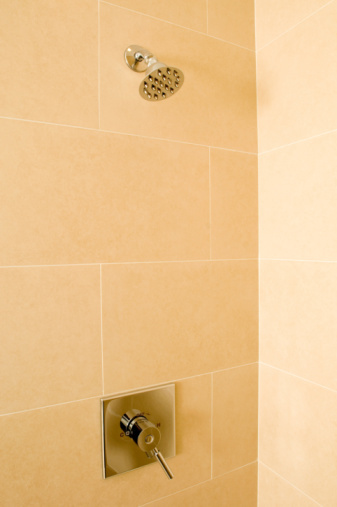 Rinse the tile floor with a cloth moistened with only water. Pour a few drops of oxygen cleaner onto the remaining ink stain on the tile floor. Scrub lightly with a soft-bristled scrub brush. Wait 15 minutes. Rinse the tile again using the cloth moistened with only water.